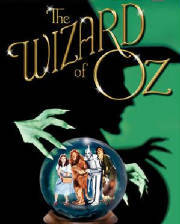 Hollywood and musicals go back to the days of the silents. . . . Yes, Maven meant exactly that, when Broadway musicals were filmed with the likes of Colleen Moore, etc. Here are just some of what Maven has come up with, including just plain old MUSIC . . . that isn't so plain! 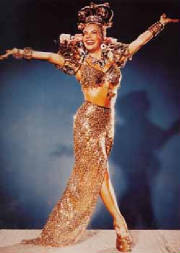 Maven came across a clip of Rita Hayworth that is at least as sensual as her famous dance in Gilda (1946) . . . . "Amado Mio": http://www.youtube.com/watch?v=0d1C1qQ_VoI&feature=related. As we can say here at The Old Movie Maven is WOW! Anyone for some Chinese dance clips?! 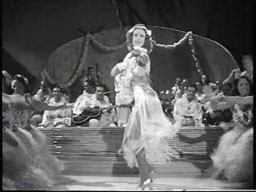 Maven came across a clip from Honolulu (1939) that has Eleanor Powell dancing a number in honor of Bill "Bojangles" Robinson. She did it in "black face" which was accepted practice then, however deplorable it seems now. Powell and Robinson knew each other well and much of the texts posted with this clip give lots more information. . . . If anyone wonders, the music is called "The Darktown Strutter's Ball." Then you're in for a treat: A nightclub outing that could have been in a scene of a Charlie Chan movie . . . at least during the Monogram era. Eleanor Powell Going to the Dog! Click on the Picture to See the Clip and More! 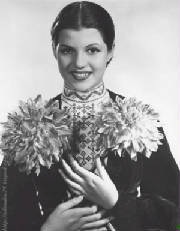 Eleanor Powell was known as "The Queen of Tap." 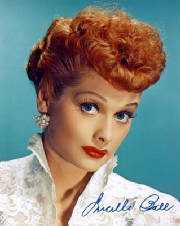 She starred with such talent as Fred Astaire and Jimmy Stewart. But even Powell went to the dogs . . . or at least one very lucky dog! Not to mention the boogie woogie!!
. . . doing a tango to kill for! George Raft's character had been warned not to do this dance at the end of the movie because his heart wouldn't handle the stress. Heck, how could any man's heart survive dancing with the incomparable Lombard?! 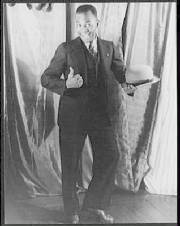 Eddie "Rochester" Anderson is perhaps best known as Jack Benny's butler on his radio and television shows. Anderson did have a career in movies that was separate and apart from Benny's programs. 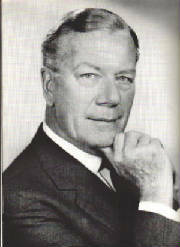 He did his part in one of the films circa World War II that were sos prevelant during the early forties. Dated and racist? Certainly but the song itself is cute. Not to mention John Wayne doing the Jitterbug in The Fighting Seabees (1944): http://www.youtube.com/watch?v=YjEJTbf7mWQ! Would you believe Gin, the dancing dog?!?! . . . . Rita Hayworth (billed as Rita Cansino) is doing a very sultry dance in the 1935 Dante's Inferno with Spencer Tracy. Unfortunately, Maven doesn't think it contains the entire dance because she remembers Cansino's very long hair coming undone. . . . Just think of all those bobby pins all over the dance floor! 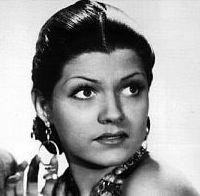 That video is"Rita Cansino," made Dante's Inferno right after she made Charlie Chan in Egypt. 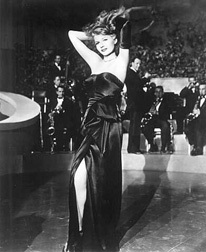 *Just watch this clip of Rita Hayworth as Gilda in the 1946 movie of the same name . . . . You'll never think of long gloves in the same way again! And for more about long gloves, check out ETTA KIT! 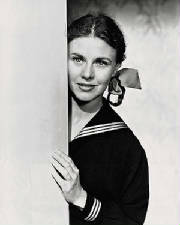 Maven has, of course, a GINGER ROGERS page since Rogers got her start in Maven's own home town of Fort Worth! 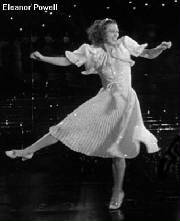 And don't let anybody try to confuse you because For Worth is where Ginger Rogers won the first round of a Charleston competition that lead her to winning the whole shindig - and a contract for a vaudeville contract - in Dallas! One is the deleated Carleston scene at http://www.youtube.com/watch?v=Myq6hg2gcWw&feature=related. The Mills Brothers, early in their careers, with dancers to boot! And for Chan Fans, shades of Charlie Chan on Broadway! How about a very young Eleanor Powell (at only 17) AND Ginger Rogers in the musical Queen High from 1931! At least that's how they're listed on the video! Eleanor Powell and Fred Astaire Dancing to "Begin the Beguinne"
Just for the heck of it . . . and if you need help to stay warm! . 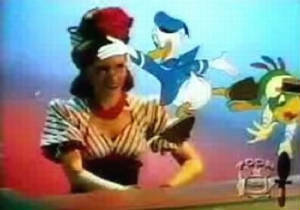 . . how about a little Donald Duck in Blame it on the Samba (1948). Is it the best Donald Duck cartoon that Maven can come up with? No, but it is cute and catchy, especially if you want a cartoon to go with Charlie Chan in Rio (1941) . . . !